As an early adopter of the PlayStation Vita who has mainly used it to play visual novels and JRPGs, the PlayStation TV (Vita TV in other territories) was a purchase I spent a lot of time considering back and forth. While it was relatively cheap, I wasn’t sure how often I would actually want to sit down and play handheld games blown up on an HDTV rather than leaving that screen free for others and playing the handheld I already owned. It was a cheap and affordable supplementary box, but one I wasn’t certain there was a space in my gaming life for. I eventually picked up a Playstation TV in October of this year, as I had a couple of vouchers to spend and the box was down to £20 on Amazon. In the last few months I have had the device, my biggest take away is that it acts as a very convincing blueprint for the idea of a hybrid handheld and home console bundle being viable and something I would want to own. If the Nintendo NX ends up being a hybrid console as many have rumored, I really hope it follows many of the blueprints placed out by the Vita and PlayStation TV. So, how does the Vita/TV hybrid work, and what elements of its setup would work well for a hybrid console? A high powered handheld, and a more affordable base station. If I want to buy a brand new PlayStation Vita today, I’m probably looking at around £100 to £150 for a fairly high powered handheld console. 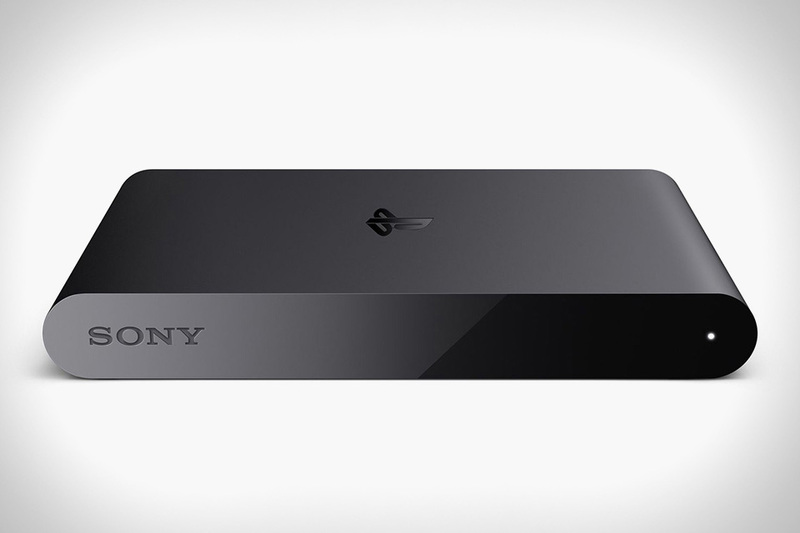 By comparison, the PlayStation TV can be purchased for as little as £20-£45 brand new. Considering the comparable game processing power of both devices, the conclusion to be drawn is that you can create a home console equivalent of a handheld for far cheaper than you can create the handheld. There’s a series of factors at play here. You escape the need for a high quality screen, you cut out the need for a battery, and by being mains powered you are able to use components that are less power efficient. In short, by not having to make it portable, you can cut a lot of corners and save a lot on production while still being able to run the same games. Obviously, in this case, you also have to factor in the price of a PS4 controller as the Vita and PlayStation TV are not sold as a bundle. Still, if the two were sold as a bundle (like the hypothetical NX), you could use your handheld as the controller for your home console. In terms of additional controllers, Nintendo could sell an equivalent of the Dualshock 4 for additional players. Most of the control options, without the price tag elements of a screen or internal processing tech. Shared game cartridge and memory format. As anyone who owned an early PSP will know, disc based games really don’t play nicely with handheld consoles. A bump at the wrong moment and your disc at best skips and messes up your game. At worst the disc gets damaged. While discs have long been the standard for home consoles, a hybrid console following the Vita/TV format would likely have to follow it’s lead and focus on physical games on proprietary memory carts. It seems odd to imagine a home console using a high memory volume equivalent of a 3DS cartridge, but the value of being to swap one copy of your game between handheld and home console might just be worth it. That said, please make your memory solution for save data and digital games something non proprietary. Let me store my games or save data on a huge SD card, rather than making memory cards to hot swap your data between handheld and console a pricey luxury. So, how usable would this kind of solution be for the average player? As far as I can tell, it could be done in a very user friendly way. I own both a Vita and a PlayStation TV. When I purchased each device, I connected to my Sony account, which is shared across all of my Sony devices (Nintendo is currently introducing a similar account system, accessible across all devices). No matter which device I log into, my purchase history, game licenses and other information is stored. I’ve spent the last few days playing Danganronpa 2 on my Vita while travelling, playing my handheld on the train. Once at home, I fancy playing on my TV screen so that my partner can watch me playing, chime in on the current trial and enjoy the experience while I play. In order to do this I pop my Danganronpa 2 cartridge and memory card out of my vita and into the PlayStation TV. Straight away, I pick up from where I left off. Quality of visuals is one of the primary cost concerns when hypothesizing this kind of hybrid console setup. The Vita/TV combo displays games in 720P on my TV, but definitely shines brightest when displaying crisp detailed 2D art. In order to not be seen as a step back from the Wii U, the NX would likely need to be able to show at the very least 1080p 3D environments, which would mean you’d need some bump in power compared to the Vita/TV combo. There are two potential solutions to this issue. Either you have a more powerful handheld, more in line with the specs of some of the more recent iPads, or you have a more powerful base station for when games are played on your TV. Let me outline the idea. Picture a handheld comparatively powered to the Vita. Game cartridges have two sets of assets available, one for the handheld and one for the home system. When running on the handheld the lower spec assets are used. When playing on the home console, the higher resolution assets are loaded. The obvious issues to overcome here are having to create a visually downscaled version of your game, and having to have additional data on every game cartridge, likely increading the production cost of games. Still, it’s a potential solution to the issue. The more time I put in with my Vita and PlayStation TV, the more I feel like it provides a pretty solid blueprint for how Nintendo could pull off a console handheld hybrid with the NX. I don’t honestly know how likely it is to happen, but I’m not longer the skeptic of the concept being viable that I once was. That’s a decent argument, though it does halfway ignore the rumors of the NX being cutting-edge hardware. That’d be a hell of a downgrade for the handheld assets. As for me, I’m satisfied to just wait and see. I don’t want to get my hopes up and be disappointed. Nintendo is all to good at inadvertently disappointing their fans. Also, the way the new proposed Nintendo network system seems to work, there will be a cloud service for save data. So it’s got that going for it, which is nice. I picked up a Playstation TV mostly to remote connect to the PS4 so that when my wife doesn’t want me playing video games in the living room, I can go play them in a different room. I’ve not been thrilled with the performance – I’ve been using it so far to mirror Disgaea 5, where the input lag is noticeable and kind of a pain, but at least not game-disrupting, but I suspect if I wanted to do something like Bloodborne, it would be unplayable. The other reason I got it was to play a few Vita games, so it’s good to hear that functionality will work better. I’m debating trying to run CAT5 now to the bedroom to see if that’ll make the PS4 remote connect more responsive. Next Post Where does VR fit into a multitasking world?